Anonymous, 11 Jan 2017The complaint that Z5 Premium overheats is a total lie. I am having it and nothing like that. Even when playing high graphics games or recording video with a high resolution or frame rate?? Are you sure. Ted , 07 Jan 2017I heard that Z5 Premium got overheating issues. Is it true?? The complaint that Z5 Premium overheats is a total lie. I am having it and nothing like that. Anonymous, 09 Jan 2017Does anyone have micro stutterings while scrolling on web? But it only occurs on some web page... moreDue to overheating issues. Does anyone have micro stutterings while scrolling on web? But it only occurs on some web pages and just slightly. AnonD-589765, 19 Dec 2016I cant everything in terms of detailed specs, but here goes (based on my experience with Z5P) ... moreWhat I mean about "noise" during zooming in is (if i can describe it in layman's term) some artefacts present an photo becomes blurred hence the (technical term) "noise. There were (apparently) some issues with the speakers of the Z lineup that before it was updated to Marshmallow the speakers were loud and then it became kind of soft and week thereafter the update. Being the 5.5" phone that it is would you say definitely the Z5 Premium's speakers are louder than the Z5 and Z3? You said the photos doesn't look warmer but definitely not cool-looking like the bluish cool of the Z3? Have you had anymore updates to the camera to improve quality, speed & performance? On the multitasking does the apps (or games) still reload or does it keep memory and loads almost instantly? Bootup/startup is under 30 seconds? Ted , 07 Jan 2017I heard that Z5 Premium got overheating issues. Is it true?? Yes it does overheat when recording with a high resolution or frame rate or playing a high graphics games, same as most smartphones. Chucks , 04 Jan 2017Totally agree.. This phone is nothing but cheap! Don't waste your money. They call it premium ... moreThe camera is nothing short of awesome, and I'm telling this as someone who used the Nexus 6P before this phone. Selfie camera is so-so, but it wasn't meant to be great in the first place. But the main camera is awesome, if you know what you're doing. Average Joe prefer to see the exaggerated artificial sharpness, oversaturated colors, overexposure and other post-processing goods, which make an photo appear great and "popping out" on phone screen. But if you know anything about photography, then you know these kind of things are crippling your photos permanently, and you can say goodbye to any true post-processing (Photoshop, Lightroom, etc...). With Z5P, captured colors are very natural, object edges are not oversharpened, and in 23mpix shooting mode, details are unmatched. It is the easiest thing on world to jump on some hatewagon, criticizing "wounded" brands and praising currently popular ones, which many tech-portals do today (accommodating their reader base), as well as their readers. It is a bit harder, though, to do some research, to make your own judgment based on facts. However, GSMArena review of this phone is one of better ones. Ted, 06 Jan 2017I'm very confused, should i choose Xperia Z5 Premium or Xperia XZ? both these phones were grea... moreZ5 Premium will (most probably) get the X series user interface with upcoming Nougat update (and that one is around the corner), so that is of no relevance more or less. 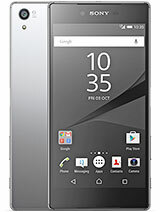 If you prefer the Z5 Premium (which I did) just go for it. AnonD-183089, 06 Jan 2017imo go for the newest "XZ" in case its price is ok for you but you will miss the radio app. if... moreI heard that Z5 Premium got overheating issues. Is it true?? For me i went for Z5 premium due to radio app + larger battery in addition to that I didn't like the XZ design a lot but both of them are super high quality in the hands! 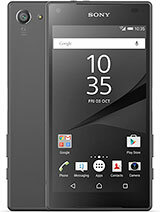 I'm very confused, should i choose Xperia Z5 Premium or Xperia XZ? both these phones were great. I wanna pick Z5 premium. However, the Xperia X UI looks amazing. Which makes me think of choosing XZ. Any suggestion??????? Amp-sg, 22 Mar 2016Was a sony fan till now had over 8 phones but would say this phone is a crap dont waste your m... moreTotally agree.. This phone is nothing but cheap! Don't waste your money. They call it premium but it doesn't live up to premium. Sony could do better with the audio system and camera which they are known for. Aside from those downfall . The phone is okay but I need my phone for Sharp images, good camera and speed! To owners of Z5 Premium-I use iPhone SE 64 GB and it works great, battery life is great, but as a Linux user it annoys me that I need to reboot to Windows (I use for games) every time I want to transfer something because of the iTunes that dont exist for Linux. Also forcing me to use iCloud if I want to make the most out of my iPhone is getting annoying. I am considering selling it and switching back to Android. 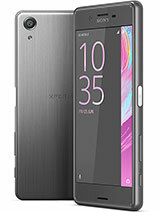 As a previous Sony user I want Xperia again, XZ is expensive and doesnt offer much advantage over Z5 so I am considering Z5 Premium which can be found cheaper as it is late 2015 model. How is battery life? Can you go all day on 4G with lots of use? Sound quality via headphones? 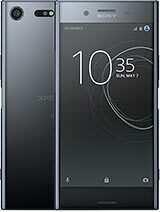 Sony supposedly has one of the better audio chips and I use my phone for listening to music so I wonder if it is an improvement compared to iPhone. Screen quality? I know its 4K but iPhone has a damn good screen (colors/contrast/viewing angles) and I read some concerning comments that visibility is not so good when viewed from the side, is that true? I also read it has some heating issues, does is just get warm or overheats? what kind of error occur after system update ? I want to update my system.